Home Cross Training For Runners How Often Should You Replace Your Running Shoes? 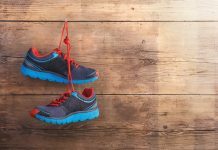 I used to pride myself on wearing my running shoes down to nubs, but after incurring a few injuries that most likely stemmed from wearing worn-out trainers, I changed my ways. Nowadays I religiously replace my shoes after 500 to 600 miles. My comfort and health are more important than the $90 I spend on a new pair. In today’s post I’m going to explain why you need to replace your running shoes, and how to find out when your current pair needs to go. Why Do You Need to Replace Your Running Shoes? Running shoes wear and tear over time, and so does the support and shock absorption that they offer. Although most of the visible wear and tear occurs on the upper fabric and the outsole, it’s the unseen impact on internal support and cushioning that makes the most difference. Why is the midsole so important? The insole is the thick layer that supports your feet throughout the gait cycle. It’s usually made of a foam material: it could be Ethylene Vinyl Acetate (EVA), Polyurethane (PU) or a mix of both materials. When viewed under a microscope, you can see that the midsole is made of hundreds of tiny air pockets that looks like a sponge. Every time your foot strikes the ground, these tiny air pockets compress like a sponge, reacting and absorbing the impact and returning energy to you as you begin your next stride. Over the course of hundreds of miles, the midsole breaks down. When that happens, it no longer provides the compression, rebound, and impact-absorbing qualities that it did when it was new. The more miles you log, the more your shoes lose the structure and components they were designed with, and the greater your risk of injury. According to conventional wisdom, you should swap out your running shoes every 400 to 500 miles. This means if you average 25 miles per week, you need a new pair every four to six months. If you push beyond this mileage, you risk discomfort and possibly a long-lasting, debilitating injury. You don’t want that. Although the 400-to-500-mile rule works well, it shouldn’t be the sole basis for deciding when to buy new shoes. That would be too simplistic, and doesn’t apply to everyone or every shoe brand out there. The mileage variance depends on many factors, including your running surface, running style, and body weight. Heavy runners who tackle lots of training sessions and hard terrains should get new shoes at the lower end of the recommendation hand, while less hefty runners who stick to softer surfaces should get a new pair closer to 500 miles or more. Here are three simple measures to ensure your running shoes don’t run you into the ground. Examining the appearance of your trainers can reveal the telltale signs that it’s time to ditch them. One of these signs is worn-out treads, especially on the outsole. The outsole is the rubber part of the shoe that comes in contact with the ground from heel to toe. It’s key because it provides the most obvious and clear sign of wear and tear. Over time, the rubber on the bottom outsole starts to wear away. Just like car tires when they lose all their tread, the outsole will smooth over and start looking like a bald tire on a car. Take note of any bald spots on the outsole of your shoe where the rubber has broken down. A little abrasion is fine, but if the tread is completely gone or the outsole is completely white, you need a new pair. As previously stated, even if the outsole looks fine and dandy, the wearing on the inside of the shoe—or the midsole—and may indicate that it’s high time to ditch them and get a pair. The midsole is key because it’s where most of the support and cushioning come from. Over months of training, the midsole breaks down and stops offering support and cushioning the way it did before. A simple way to tell whether your trainers are truly worn out is to do a press test.Put one hand inside the shoe, then press your thumb into the shoe’s center, where the midsole is located. If you can feel your fingers cramming through the shoe and/or if the midsole feels rigid and hard, it’s time to find a new pair, with better cushioning and support. You can also test your shoes for flexibility. Hold your shoes with laces up, then bend the toe back towards the heel. If the shoe folds easily, it’s a clear sign that the shoe lacks adequate support, and is no longer appropriate for running. If the shoe feels firm, it’s still providing proper support. Last but not least, my best advice for knowing when to ditch a pair — wear, tear, and mileage aside — is to listen to your body. 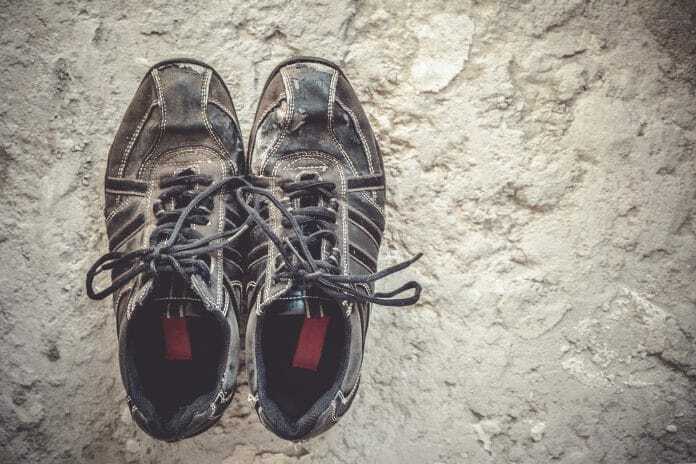 When your running shoes no longer provide enough support and protection as they did when you first started training in them, you’ll feel pain. And by pain I don’t mean a debilitating injury. 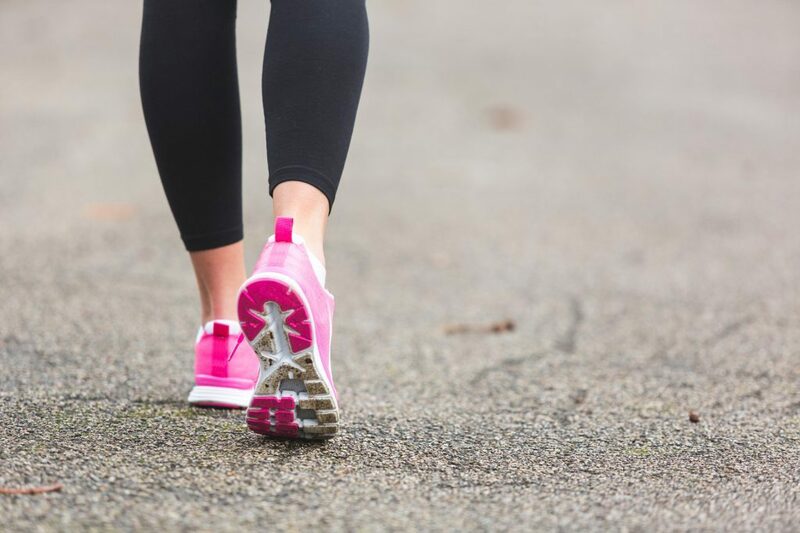 If you’re starting to feel pesky little niggles in places you had none before — especially in the form of sore soles, aching arches, tender shins, painful knees or other small irritations — then it’s time to take a good look at your shoes. This is especially true if you’re experiencing pain on both sides— for instance, in both knees. That’s as clear sign as you’ll ever get that you’re not getting the protection and support you once had from your shoes. The guidelines above are all you need to know about when to retire your running shoes. Make sure you pay attention and take action when it’s needed. Your health is the priority. I’d love to hear from you if you have any questions or suggestions in the comments section.